Devon Aygo had the most liked content! What is the fault code as there are issues especially gunk in the fuel/tank/lines that the car detects as a faulty fuel pump? If the car is a manual then there are no warnings for clutch only the X-shift (MMT Auto) has a clutch overheat warning. 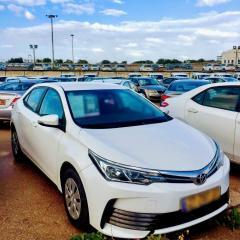 There are a couple bulletins from Toyota regarding engine noise on start up: 1) EG-0056T-0711 Subject: Tapping noise after cold engine start Models: AURIS; PRIUS; PRIUS +; PRIUS PHV Model codes: ZWE150; ZWE186; ZVW30; ZVW40; ZVW35 DESCRIPTION OF PHENOMENON Some customer may experience and report a tapping type of noise from the engine after cold engine start. There are 2 different conditions in which this type of noise can occur, each with a different cause and repair method: 1. After parking at temperatures equal or higher than -10°C and the noise is occurring less than 5 seconds. 2. After parking at temperatures lower than -10°C and the noise is lasting more than 5 seconds PRODUCTION CHANGE 1. For tapping noise at temperatures above -10°C:  The intake manifold shape has been changed to reduce risk of water entering in outer cylinders. 2. For tapping noise at temperatures below -10°C:  The engine ECU software has been changed to improve the ignition timing retard  A special coating has been applied on the injectors to improve the injection system efficiency (for F/Fix only) REPAIR PROCEDURE 1. For tapping noise at temperatures above -10°C:  Replace the „Manifold Assy, Intake‟ according to repair manual. 2. For tapping noise at temperatures below -10°C:  Replace all 4 „Injector Set, Fuel‟ according to the repair manual.  Check / Update the “Computer, engine control” software to the minimum required calibration ID, according to the procedure described in TSB EG-6006 for Intelligent Tester or TSB G-0002 for Global Techstream. 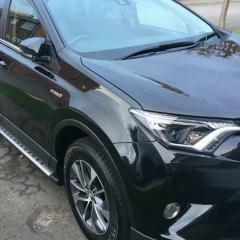 I have seen this issue before and there are lots of examples on Youtube, see: 2) EG-0020T-0213 Subject: DTC P0401 and/or vehicle vibration, tapping noise Models: AURIS; PRIUS; PRIUS +; PRIUS PHV Model codes: ZWE150; ZVW30; ZVW40; ZVW35 DESCRIPTION OF PHENOMENON Some customers may experience and report vehicle vibration due to rough idle and/or tapping noise from HV transaxle. The engine warning light is on and DTC P0401 “Exhaust gas recirculation flow insufficient detected” is stored in the engine ECU. Excess carbon build up in the valve assembly, EGR will cause the valve to stick and engine rpm to fluctuate. PRODUCTION CHANGE The EGR valve is modified and the engine ECU software is updated. REPAIR PROCEDURE 1. Before starting the specified repair, perform a basic vehicle check-up to confirm if there is any other factor negatively contributing to the reported phenomenon. Repair according to the procedure in the repair manual. 2. Perform an active test to check the EGR valve for correct operation. 3. If the EGR valve is found to be stuck, replace the EGR valve according to the procedure in the repair manual. 4. Modify the wire harness to relieve any excess stress on the wire harness according to below procedure. 5. Reprogram the "computer, engine control" with the latest available software (Calibration ID) and apply a new label sticker with the correct "computer, engine control" part number and new calibration ID. Have seen this one as well although the EML lamp is usually on or DTC P0401 has been stored . Manual or Auto ( MMT ) transmission?